After taking multiple online courses and forming the belief that it could be done much better, Mike Melvin started At Your Pace Online. A former contractor, he started building a framework for delivering online coursework in a way that contractors could appreciate. After seeing success in the contractor education realm, more classes were built in multiple industries. By coupling the proven learning process with industry professional knowledge, At Your Pace Online has grown dramatically in the past couple years. 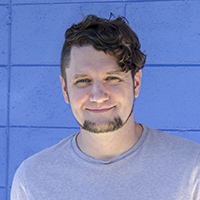 Mike loves writing code and building marketing campaigns. When Mike’s not working, he enjoys surfing and spending time with his wife, Ruby and their five children. Joel Harper is the primary content writer for AYPO. 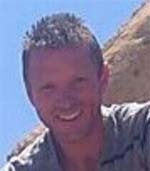 Originally from Reno, Nevada, Joel moved up to southern Oregon in 2005. In 2012 he graduated from Southern Oregon University with a bachelor's in sociology and a minor in political science. Joel has many hobbies but his true passion is writing. He currently lives in Ashland, Oregon with his wife and dog. Joel is a skilled writer and has a knack for articulating complicated material. Joel is a member of the local SCA and practices his trade in our gym. 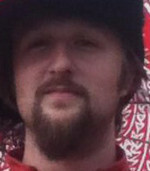 In 2012 Don Reynolds, the writing team lead, graduated from Southern Oregon University with a degree in Philosophy, Sociology, and Psychology. Don enjoys being able to use his research and evaluation skills while writing courses. He's always been a bit of a generalist and now can do something that he would spend his free time doing, but get paid for it. Don is a skilled communicator and never loses his cool under pressure. Don has two young boys and spends his time while not at work learning to sword fight with the local SCA. 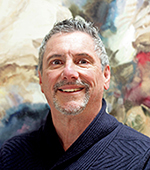 Peter Quince graduated from Grinnell College in history and political science in 1974, with summer jobs in construction and as an electrician’s helper, then attended a graduate program at Columbia University. 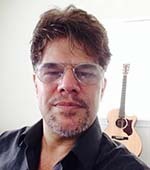 He has over 20 years of experience in technical writing, particularly in the fields of medicine, psychiatry, and business, as well as having numerous scripts produced on the stage or on video. An indefatigable researcher with unquenchable curiosity, he is thrilled to have a chance at AYPO to ensure that every course is accurate, comprehensive, clear, and written in such a way as to be an effective and powerful learning tool. "I love being here at AYPO, delighted to bring my skill as a writer, and enormously proud of what we’re able to do as a team." Elizabeth Barnett is an integral part of the reporting team, she reports students to the regulatory agencies upon their course completions. She is charismatic, energetic, and very patient, which comes from being the mother of three beautiful children. Her family forms the basis of her drive and passion, as she strives for excellence in every task she takes on. Elizabeth believes that any challenge can be overcome with effort, close attention to detail, and exceptional customer service. Outside of work, Elizabeth's husband, kids, and their sports activities are her sole focus. 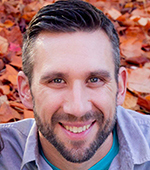 Jared Halpin is the lead for the At Your Pace Online marketing team, he joined the At Your Pace Online team in August of 2016. When Jared isn't hard at work here he enjoys many different activities in his free time such as mineral prospecting, researching new technology and exploring the local valleys and hills. 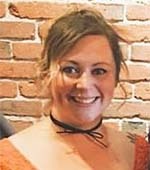 Becca Marsh is the newest member of the At Your Pace Online marketing team. She has lived in beautiful Southern Oregon since college and cannot imagine living anywhere else, besides internationally. She's one of those people that is always laughing, happy, and smiling. When she isn't at work she is likely finding the newest restaurant to try, wine tasting somewhere in the region, playing with her giant fluffy Great Pyranees (Woofy), travelling, or planning her next adventure. She and her husband live for new experiences and their biggest goal in life is to see the world together. David Modica is a member of the AYPO research and development team. With over 25 years combined experience in the restaurant industry and music business, David's expertise, willingness and professional attitude are a strong contributor to an already strong team. David is also a graduate of UNLV having majored in Business and Psychology. When not in the AYPO office you'll find David as a singer/songwriter performing at any of the many local wineries we have here in southern Oregon. 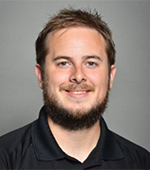 Grady Goff graduated from Westmont College in 2015 with a B.S. in Computer Science. He recently moved from Southern California to join the AYPO team as a programmer. Grady started programming video games at the age of 13 and has been passionate about the development process ever since. In his free time, Grady enjoys developing software and video games as well as surfing, camping, painting, and reading. 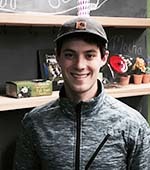 David Gierman is a Rogue Valley native and recently joined the AYPO team as a programmer. 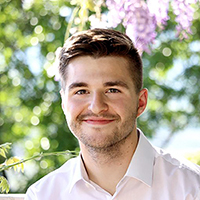 David graduated from Rogue Community College in 2014 with a AAS in Web Development and is deeply passionate about technology and all things coding. David's favorite quote is, "Nothing in the world is worth having or worth doing unless it means effort, pain, difficulty." 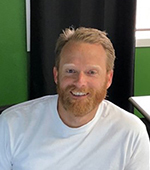 When David isn't busy having fun building awesome things on the web he enjoys spending time with his wife and 3 dogs, immersed in a video game, or competing in a flag football game. 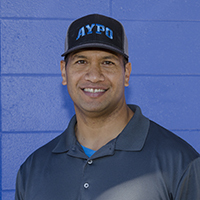 Ryan Imel is part of the AYPO Programs Team. With previous experience as a licensed contractor, Ryan wishes AYPO was around when he was in business. Ryan is strong in customer service, and is eager to please and makes friends wherever he goes. Other skills of Ryan's include creativity and a vision. Ryan could not be more content about where he has been placed in the beautiful city of Grants Pass Oregon. On his spare time you will find him with his wife and their three children enjoying each other and taking care of foster babies. Patrick Caldwell has has been with the AYPO Sales & Support team since May 2016. He was promoted to the Lead position less than a later. Patrick has lived in southern Oregon his entire life and spends as much time as possible enjoying the wildlife. He is an avid hunter and fisherman. When he is not out in the field chasing ducks, bears, deer, salmon or trout, he enjoys helping our students with their online courses. Caleb graduated from New Hope Christian School in 2013. He has since received his Associates in Applied Science. He has worked several odd jobs, including the fast food industry. He now works part-time for AYPO as the video editor. His ultimate goal is to pursue a career in film-making. When he is not editing videos he studies films by Christopher Nolan and Ron Howard. Caleb also enjoys spending time with his large extended family. Brian is a northwest native who has spent his entire life on the West Coast. With a background in law, journalism, and government, Brian has worked with the Washington State Legislature, University of California, Riverside, and County of Orange, CA. With his spouse, Robin, Brian has three grown children, two grandchildren, soon to be three. Brian and Robin decided in the 90s that they would some day settle in the Rogue Valley, landing here in 2013. Now they spend as much time as they can enjoying the beauty of the outdoors and all the arts and theater available in the Valley. 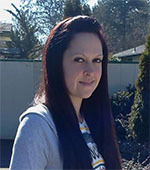 Amanda Elias is one of our exceptional Customer Sales & Support Specialists. She is bilingual in Spanish and has been passionately involved in customer service and public relations for more than nine years. She and her family are originally from El Salvador, before they moved to the Bay Area of Northern California. She moved to Grants Pass, Oregon 14 years ago and says she is "Still in love with Oregon." Her interests include nature, outdoors, animals, and horticulture. Local musicians and breweries are big interests too. She lives in the close-to-town countryside of the valley with her boyfriend Jesse and their best pal, a 110lb Italian Mastiff (Cane Corso) named Ivan. During her free time you'll surely catch her swimming in the local rivers and at the beaches. Or maybe snowboarding, hiking, motorcycling our mountains and local countrysides; oh, and of course cooking! Chuck Rehdorf is one of the newest writers on our staff. He is a Northern California native, having grown up around the towns of Paradise and Redding. He considers himself a lifelong jack-of-all-trades, having been a law enforcement officer, newspaper writer, electrician, and a human resources manager. His writing covers everything from technical articles for magazines to fantasy and science fiction. Every chance he gets he follows his passions of writing, photography, and automobiles wherever they lead him. The only thing he enjoys more than writing though, is spending time with his wife, Randi. 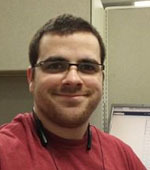 Ryan Plankenhorn is one of newest programmers here at At Your Pace Online. He’s lived in the Rogue Valley his whole life and loves Southern Oregon. He traveled a bit in the West but always loves coming home. 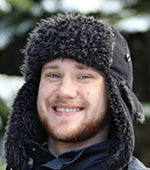 Ryan obtained his Bachelor’s in Computer Science at Southern Oregon University. He is married and has two children, and loves to read. He also stewards a Little Free Library in his hometown. Besides that, Ryan likes cooking, especially baking bread to go with his home-crafted beer. When he’s not at home, he loves attending local theater, especially if it’s a good musical. 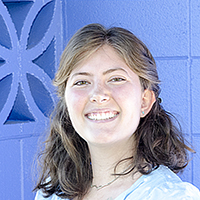 Sierra Dirling is a recent graduate of Southern Oregon University and longtime resident of the Rogue Valley. She is excited to bring her writing skills to the team at AYPO, and is happy to help others get one step closer to their goals. In her free time, Sierra enjoys reading and writing (no wonder she has a degree in English), and has attempted to learn yoga, ballet, the ukulele, and knitting. 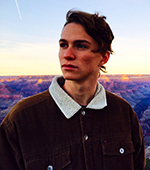 Cameron Hoehne is one of the newest additions to our writing staff. Born and raised in Southern Oregon, he's in the process of laying down deeper roots and growing in ways that give back to the community. Having a passion and interest in counseling, he's starting the journey to becoming a certified counselor, specializing in youth addictions counseling and community building. In the meantime, he works not only as a writer at AYPO, but also as a ghostwriter and copywriter for Aspinwall Collective, and teaches a youth theatre class. For fun, he loves studying theology, playing his viola and harmonica, and especially loves visiting his girlfriend in Redding, CA. 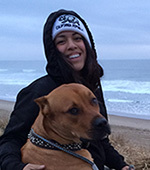 Junior Kahaloa is the newest member of the AYPO Customer Support team. He comes with over 20 years' experience in supporting staff and students in planning, developing, and implementing win-win opportunities in multi-functional environments. When Junior is not assisting our customers he enjoys teaching Zumba dance fitness classes, cooking, trips to the beach, and spending time with his son and daughter. Keith Haley, a serial entrepreneur, currently owns businesses in finance, insurance and sales. Keith holds a Bachelor’s degree in finance and several licenses including P&C, Health, Life, and FINRA Series 6,7,63,65,4,51,24. Keith is also a licensed CFP. 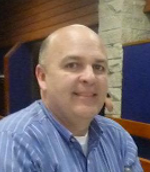 Keith has over twenty years of experience in the finance and insurance industries. 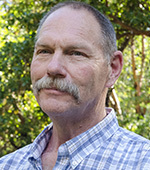 Tony Goff, holds a Bachelor’s degree in Business Law and has over twenty years of experience in the water industry. Tony holds an upper managment position with a large water district in Southern California. 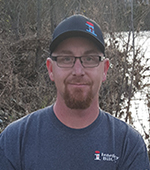 Tony is a Subject Matter Expert in the field of drinking water distribution and holds a treatment 5 certificate and a distribution 5 certificate. Dan Whaley, was trained in HVAC in the Air Force where he spent eight years. Dan currently works for a large hospital in Oregon where he is employed as an engineer working on industrial level machanical devices. Growing up in a military family, Sheri developed an adventurous spirit. After living in Alaska, Japan, Hawaii, and California, Sheri moved to Southern Oregon in 1985. With her sense of adventure, she felt at home in the Pacific Northwest. 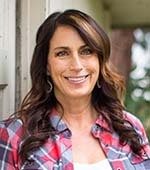 While living in the mountains of Southern Oregon Sheri became a timber broker. It didn’t take long to realize that real estate was a natural fit for her. Sheri started her real estate career in 2000 brokering timber land and working with contractors. Later she began specializing in ranch properties and quickly became known by her clients and peers as an expert in the field of ranch and rural real estate. In 2005 Sheri became a principal broker and opened her own brokerage in order to better serve her clients. She specialized in ranches & equestrian properties. As the wine industry began flourishing in Southern Oregon, so did Sheri’s reputation for brokering vineyard properties as well. In 2016 Sheri joined Fay Ranches, Inc. and began brokering wineries, vineyards, and luxury estates. Sheri has been a subject matter expert at AYPO for real estate since the company began in 2012. She is a licensed Real Estate instructor in over 35 states. Sheri is still living her Oregon dream in the foothills of Josephine County, with its historic walnut orchard, old farmhouse, horses, dogs, and chickens. Charles "Chuck" Price has been in the electrical industry since 1996. Beyond being the primary Electrical Instructor, he works for the areas largest healthcare provider. He has worked on everything from traffic signals to waste water treatment facilities.